In the early-to-mid 2000’s, distillers, drinkers and bartenders grappled with how to describe an emerging segment of the gin market. This is where New Western Gin as a term began. 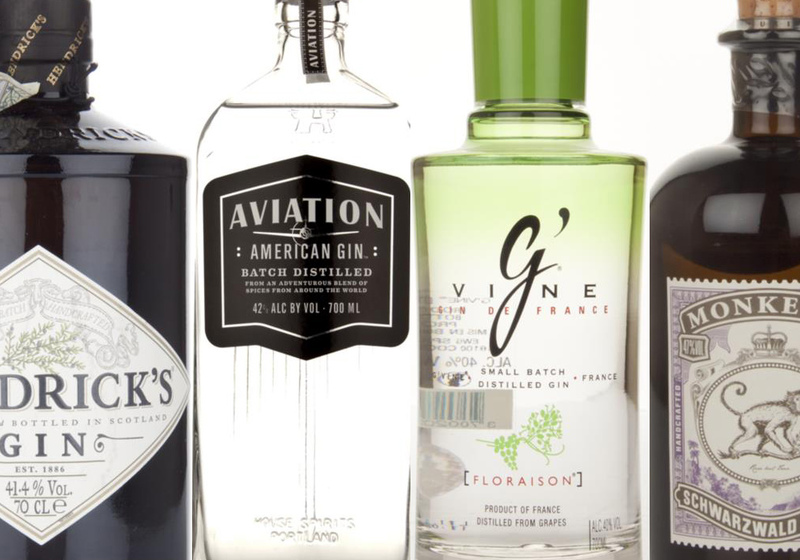 Gin’s like Tanqueray Malacca (originally in 1997), Hendrick’s (1999), Martin Miller’s (1999)— and international distillers like US-based House Spirits’ Aviation Gin (2006) and the French based G’vine line of gins (2006) pushed the envelope for what gin could and should taste like. The juniper certainly was there, but it wasn’t at the forefront. Our gin taxonomy was not equipped to describe these gins. Not to each other, not to consumers, and especially not to gin drinkers used to standards like Gordon’s and Tanqueray. Terms and new descriptors proliferated as the gin landscape experienced a boom. 100’s of new gins launched. And many of them accentuated new and unusual botanicals. The most famous attempt to describe these new styles came from the aforementioned House Spirits. Ryan Magarian wrote a somewhat famous essay defining Western Dry Gin, often shortened to New Western Gin. His framework acknowledged a need for a “character” designation beyond the standard descriptors. At the time, this was a natural reaction to the state of the gin market. The explosion in new gins— particularly ones that really pushed the juniper-forward expectations— seemed to be primarily concentrated in the United States; therefore, writers largely placed it within a place based context? Slowly gins like Martin Miller’s and Hendrick’s which once pushed the envelope by working to win over the flavored vodka market became seen as more and more traditional. More and more distillers embraced unusual and exotic botanical blends. And the gin renaissance expanded beyond national borders. Slowly, it became problematic to use “regional” descriptors. Distillers in the UK and in London began releasing gins just as adventurous and unusual in places associated with traditional gins. G&J Greenall’s Opihr Gin is an apt example. The bottle says “London Dry” but the flavor is “New Western,” “International,” “New World,” or even “New American” in profile. The categories and frameworks we had were falling apart. It was now clear that we lacked a name for even the traditional juniper-forward style. London Dry— though used for nearly a decade as a stylistic shorthand— was now reminding people what it really meant: a quality designation rather than a flavor profile. The European Union who had been engaged in a decade long process of codifying and protecting regional products (especially in the spirit industry) had a huge influence on world perception of local character. As terroir’s effects were being codified, others sought frantically to identify character/terroir protections in their own products. Suddenly, it wasn’t enough to have just a general regional definition: Cornish Gin, Northwestern Gin, Southern Gin, Australian Gin all burst onto the scene. But there were a couple problems. Unlike wine and grapes, there isn’t a clear effect or correlation between a region and its gin. Sure you can create an Australian Gin using a local botanical like Eucalyptus, but it wasn’t necessary. You could just as easily make a Gordon’s Gin clone. Both legitimately could be called Australian; therefore; what is the place’s effect? It was hard to quantify. And even harder to set expectations through. These regional placeholder terms made it even harder— what if a real terroir in gin was identified? A second, small, but not trivial problem was the odd nature of the terms. “New Western Gin,” was West of what? “New World,” invoked a peculiar reminder of colonialism. In a global gin marketplace, these terms brought a peculiar Euro/UK-centrism that would not serve the gin community into the future. David T. Smith and I have been advocates of a generic non-place based designation focused on flavor profile. Classic Gin refers to juniper-forward gin, and contemporary refers to gins which highlight some other botanical in equal billing*. Both terms describe only the flavor and still reserve the ability of distillers and drinkers to discover terroir or regional style designations in addition**. But this era has already seen many places not usually associated with gin get into the game. Japanese whisky distillers are exploring Japanese botanicals in their contemporary styled Japanese gins. Thai distillers are fermenting local fruits to create botanically unusual contemporary Thai gins. The biggest gin market in the world— the Philippines by the way— continues to consume vast amounts of classic styled San Ginebra Gins. There’s gins being distilled on six continents now, and it seems only a matter of time before someone does an Antarctic gin with Antarctic botanicals. Distillers in different places are coming with unique ways to express themselves on the canvas known as gin. Whether an American Gin Distiller looking to make the best classic style gin ever or a centuries-old London distiller looking to make an unusual contemporary style gin, we need terms that allow both to be as American and as London as they are— and to be as classic or contemporary as they want to be. Let’s retire the regional designations to refer to flavor descriptions. *Still not everyone agrees. The Gingineerist even proposes refining this further. ** David has suggested that there may be an Alpine Gin style emerging into central Europe. The problem with calling things “modern”, “contemporary”, or “classic” is that the way they refer to certain times is vague and always changing. You could call anything between the printing press and the camera “modern” as it predates the “postmodern” world. “Contemporary” just refers to anything recent, so anything contemporary now shan’t remain so. “Classic” is a really odd one because we call anything from Hellinist Greece or pre-medieval Rome” classical, along with anything between the renaissance and the industrial revolution (so how this refers to juniper forward gins I have no idea. How about “Imperial” and “Millennial”? I know these can also refer to multiple times and cultures, but at least we can trust them to keep the references to times of Victorian empire building and the early 21st century that these gins really come from.